Envision a world in which communities thrive. Our students and faculty are among the best in the world. To further our mission to become a premier national Christian university, we need to continue to invest in academics. This means becoming a R3: doctoral level institution with nationally recognized scholars, researchers and teachers; offering solutions to society’s problems through a Christ-driven approach; providing a multimodal education delivery system; building a global campus; and attracting the best and brightest students. Lipscomb cultivates servant leaders who are equipped to contribute in countless ways across the country and around the world. With your investment, we can bolster a student experience that is shaped by personal service, outstanding amenities and life-changing relationships; a recognizable 21st Century Christian emphasis that is tightly woven into all parts of the Lipscomb experience; a Christian NCAA Division I athletic program that leads the nation; and a healthy pluralistic environment that equips the Lipscomb community to overcome difference to make a difference. When students have what they need to learn, their life’s work is our best outcome. You will make possible the betterment of Lipscomb’s faculty, the success of Lipscomb’s students, and the reach of Lipscomb’s programs. 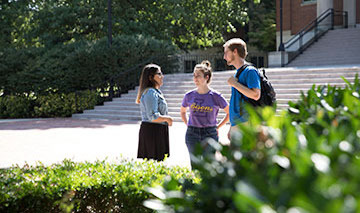 In so doing, you will elevate the Lipscomb experience for all students and bolster the value of a Lipscomb degree for students and alumni alike. 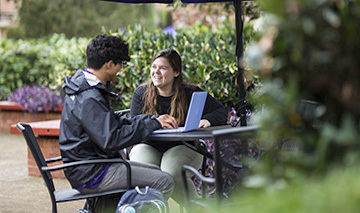 You will ensure that the students you help send to Lipscomb not only find the resources they require but also achieve the outcomes they, and our world, need. LipscombLEADS commits to develop a 21st Century campus that includes improvements to and expansion of academic facilities, residence opportunities on campus as well as improving facilities for the university’s top-flight intercollegiate athletics programs. With your help, we will increase Lipscomb’s aid to high achieving as well as lower income student, and to build a solid foundation for generations to come, LipscombLEADS aims to grow the permanent endowment to over $100 million to support students, faculty and programs alike. A crucial differentiator when it comes to the Lipscomb student experience is our student missions program. LipscombLEADS will invest in creating a more robust and sustainable missions program. You can see this vision, because you are a part of it. Leaders like you bring wisdom and grace to every person and to every aspect of life. Leaders like you have created the momentum for Lipscomb’s future. $206 million toward our goal of $250 million! We’re leading into the future together. Christian higher education is among the most influential means for raising up leaders who will impact the world. That's why our vision is a Lipscomb University that serves as the premier national Christian university throughout the 21st century. The Lipscomb Associate is a donor who makes things happen in a special way. Defined as any donor who annually gives $1000 or more in a 12-month period, Associates are our core partners who make scholarships, special initiatives, academic enrichment and more happen. 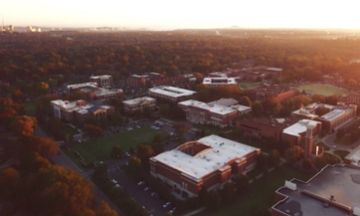 Philanthropy is a natural extension of Lipscomb’s core values. It is a form of service, selfless contribution for the benefit of others. Philanthropy helps to build community, forging ties between donors and recipients. It encourages the extension of knowledge and hastens the pursuit of innovation. 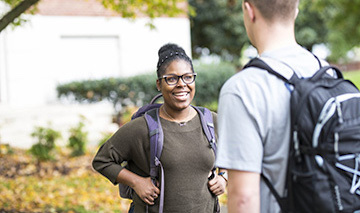 Inviduals give to Lipscomb because they know they are supporting one of the top-ranked universities in the Southeast whose students faithfully impact lives and become leaders in their professions and communities.